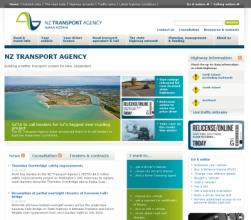 Go to the NZTA website and check it out. DevCore had to manage many different types of content, some of it in a database, some of it in templates and some of it PDFs and Word documents. We began with a core build of a single section, (the most complex section) and then rolled it out to the rest of the site. With each section of the site having to operate differently to serve different content, it meant a standard off-the-shelf CMS would need significant modification to work. With the designed-in flexibility of DevCore, accounting for the different functionality was a breeze. Things were further complicated by the tight timeframes. We had content loaders loading live content while the site was still under development. The flexibility of DevCore meant that we could do this with minimal interruptions to the content loaders. While this might be seen as a problem, it did have the added advantage that any bugs were very quickly found and reported. That meant the go-live day was mostly stress-free (for the developers) and everything went very well.